Bryan serves as a Partner and Wealth Advisor at Tax Management Services. He focuses his expertise in the areas of tax planning, estate planning, and retirement planning and investment management. Bryan is focused on helping individual and business clients achieve their unique and complex financial goals. Bryan graduated from the University of Wisconsin-Whitewater with a degree in Business Administration with an emphasis in Finance. Bryan holds FINRA Series 7, Series 24, Series 66 and Wisconsin Life and Health Insurance licenses. Bryan is in the process of becoming a Chartered Financial Consultant (ChFC). 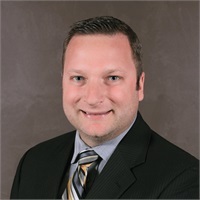 Bryan started his career in the financial services industry at a local independent broker/dealer, SII Investments, Inc. At SII, Bryan was a dedicated home office principal primarily responsible for paperwork and suitability trade review for over 100 independent financial advisors. Bryan prides himself on creating and maintaining close client relationships. His practice has grown primarily through referrals of current clients. He is a devoted husband to wife, Kalyn, and father of two daughters, Stella and Sophia. Outside of work Bryan’s passion is travel, Wisconsin sports, staying active and being around family.